Creamy. Dreamy. Minty. 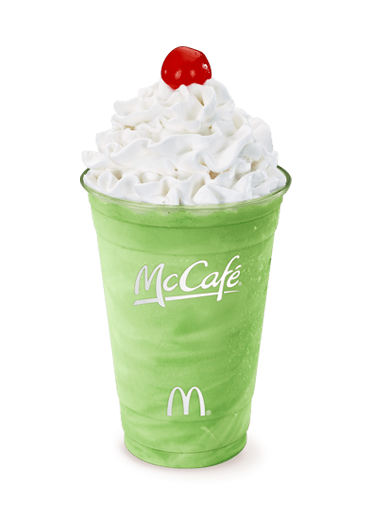 The Shamrock Triple Thick Milkshake is here! Don’t leave things to chance – it’s only back for a limited time at McDonald’s Canada! The delicious, refreshing taste of mint and vanilla soft serve is back in McDonald’s iconic Shamrock Shake. Just in time for St. Patrick’s Day! They use to be good, McDonalds destroyed the taste a long time ago. They were bad 10+ years ago, I can only imagine today; ughhGh.